I will admit that I may possibly have too many (is that possible?) 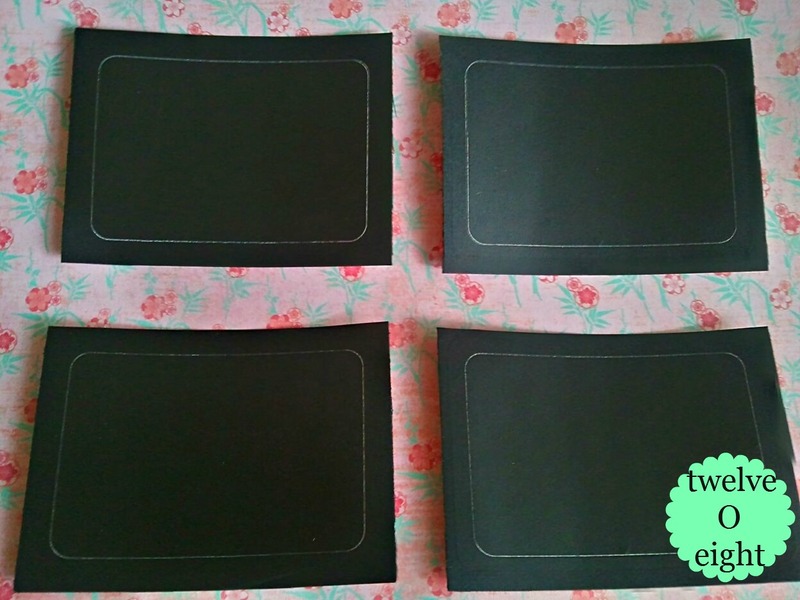 do-it-yourself chalkboards around our house but I love them! While organizing home office/craft room supplies I realized I was in serious need of labels for my containers. If you don’t have a Silhouette or Cricut, no need to worry, these labels are easy peasy and don’t need a machine my friends! I already had a can of Krylon Chalkboard Paint from previous projects (this stuff is awesome and one can really goes a long ways!) and I picked up a few packages of name-tags at Walmart over the weekend. 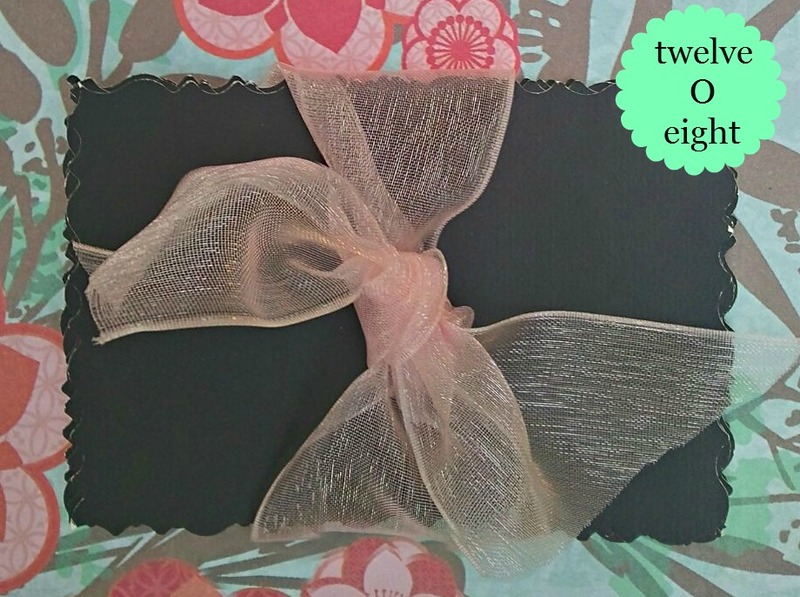 I chose the 2″ by 3″ labels as I wanted a large label, and planned on using craft scissors around the edges. I spread out the labels face-up outside (it was not windy, if there is any wind, try in your garage with the door up, etc…so the labels stay put) and applied two good coats of the Chalkboard Paint allowing to dry well between each coat. I waited 24 hours to let the Chalkboard Paint cure, and broke out my scrap booking scissors, trimming each around the edges. I love how easy they were to make, and I am trying to refrain from putting them on everything around the house. Wouldn’t these make super easy (and budget friendly) wedding centerpieces? 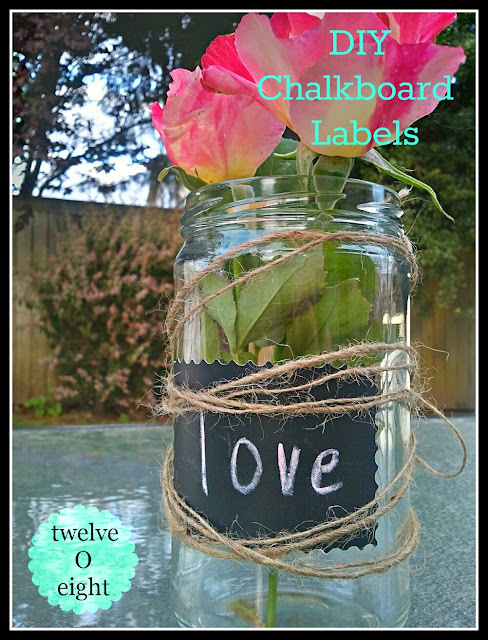 I trimmed a few roses from our garden and added the chalkboard label to a clean jar, a little jute twine, and voila! Easy centerpiece or vase on a shoestring! Very cute idea! I'm very partial to chalkboards. We have several old black slate boards in our house – but I like your tip for using the spay chalkboard. Great craft. Oh what a great idea and they turned out looking do cute! This is such a fantastic idea, Tanya–love that it's quick and easy, and the end result is great! Thank you for sharing this with us. What a great idea! I never thought of that. Thanks for sharing!!! Such a fun and clever idea. Thanks for sharing on BeColorful. Love this idea! Thanks for finding my blog! I am following you now and look forward to more awesome ideas! 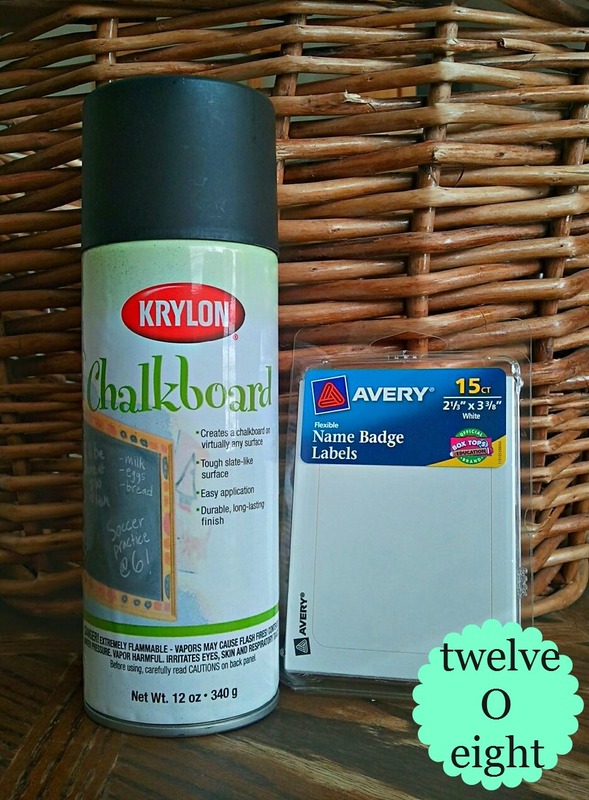 What a great idea to spray the chalk paint onto labels!! This would be cute for any type of party! A. I am your newest follower + a cohost with you this week on the hop. And B. THIS IS AWESOME. I've always kind of wondered how the heck I'd do this. NOW I KNOW. Genius! jusr recently discovered chalkboard spray paint!!! can this get any better??? Great minds think alike! I have a VERY similar blog post except using homade chalkboard paint. Loved yours, super easy!!! That is the best idea! I see some quick and easy teacher gifts in my future! Life to the full to you! I absolutely love this idea and it looks so easy, too! Thank you for sharing. I LOVE this! I always wondered if the chalk spray paint worked. Thanks so much for sharing! I'm off to buy some spray paint! Thanks for the great idea! I was about to buy Martha Stewart's labels but they were expensive. Love that I spent less for 15 labels versus the six from Staples. If you don't want them to fly off use double sided tape and tape all of the to a cardboard box. definition. I dont like that my curls were rather dry though. I'd say you must must must use the oil or some sort of moisturizer w/this product if you have thick (curly hair: type 3C) hair like mine. very easily and is lightweight and easy to handle. Better than ceramic irons and definitely better than the ones you can buy in beauty stores. I am new to your blog, this and your other ideas are super clever. I am thinking of all kinds of things to put these adorable labels on. Please share your projects at http://www.creativecraftsthursday.blogspot.com each and every week and check out what other creative divas are up to. First I have to say – HOLY SPAM COMMENTS!! Girl, you need to change your settings so they can't spam your awesome posts! this topic to be actually one thing which I feel I would never understand. Yes! Finally someone writes about iphone repair. can know it. Therefore that’s why this post is great. Thanks! 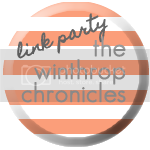 6WZ0ie Im thankful for the blog.Really thank you! Keep writing. I love the labels design, which reminds of the recent gift to my boss. I bought them from Essmak and it’s perfect.